Tunisian olive oil firm CHO backed by investment house Gulf Capital - The Maghreb Times ! 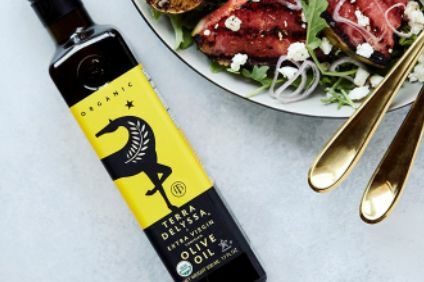 CHO Company, Tunisia’s largest exporter of branded olive oil, has received investment of US$22m from regional asset management firm Gulf Capital. Founded in 1996 as an olive oil bulk trader operating a single crushing mill, CHO today manages one of the largest ‘farm-to-fork’ operations in the sector globally, using sustainable farming methods. With 6,975,000 olive trees pruned and harvested every year in Tunisia by its 28,000 seasonal and full-time farmers, the company’s large olive oil milling operation headquartered in Sfax, produces more than ten million gallons of first cold press extra virgin olive oil and supplies it to more than 10,000 customers in the food, cosmetic, and supplement manufacturing industries worldwide. It accounts for more than 50% of Tunisia’s branded olive oil exports. Its brands include Terra Delyssa, Origin 846 and Olives et Oliviers. It also produces other speciality oils, dates and “gourmet products”. Proceeds from the Gulf Capital investment will be used to fund CHO Company’s expansion and integration plans and for working capital purposes. The deal marks the seventh investment for Gulf Capital from its US$251m second private debt fund and its first investment in Tunisia.